A lot of hype has been surrounding a young man out of San Jose, California ever since October 13th, 2012. That was the night Matt Field made a lasting impression on Formula Drift. After 4 intense runs against one of the world’s most widely known drifters, Daigo Saito, Matt was defeated. But, the crowd at Irwindale Speedway and the internet went wild for days, even weeks after. It still gets brought up to this day how the privateer out of Nor-Cal almost took out one of the toughest competitors Formula Drift has ever seen. 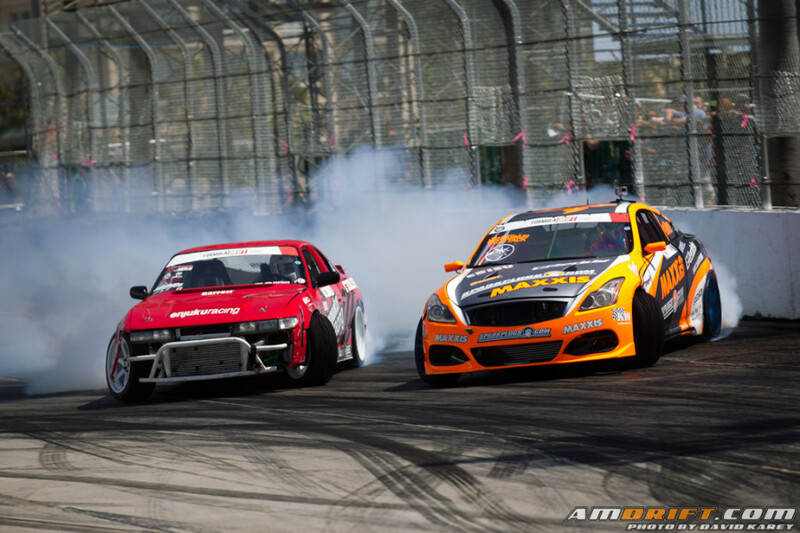 If Formula Drift Round 1 – Streets of Long Beach could be summed up in one word, that word would simply be “crazy”. Over the off-season, several teams went to work adding more power to their current chassis, and even building entirely new cars for 2015. The results of drivers piloting such unfamiliar setups are what gave Long Beach its exciting vibe, with several unexpected drivers rising to the top and taking out heavily favored veterans of the series. 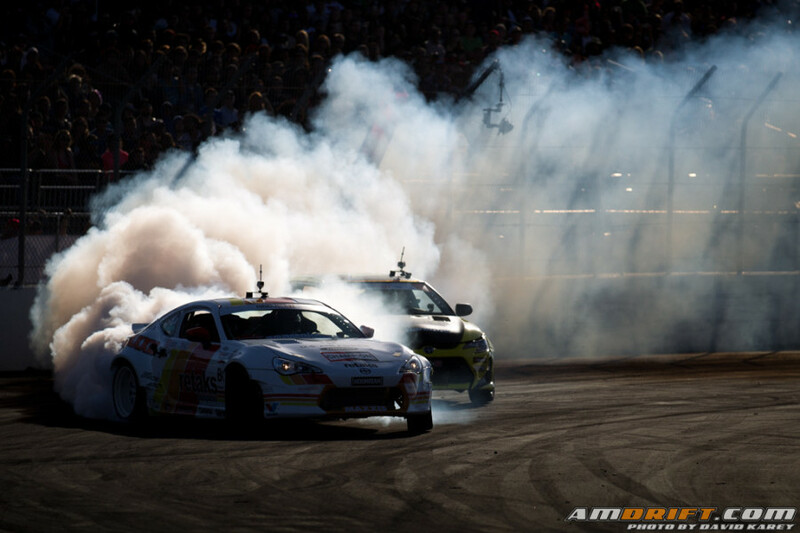 Formula Drift is back, which means that tire smoke, race fuel, and various ear shattering engines are back too! 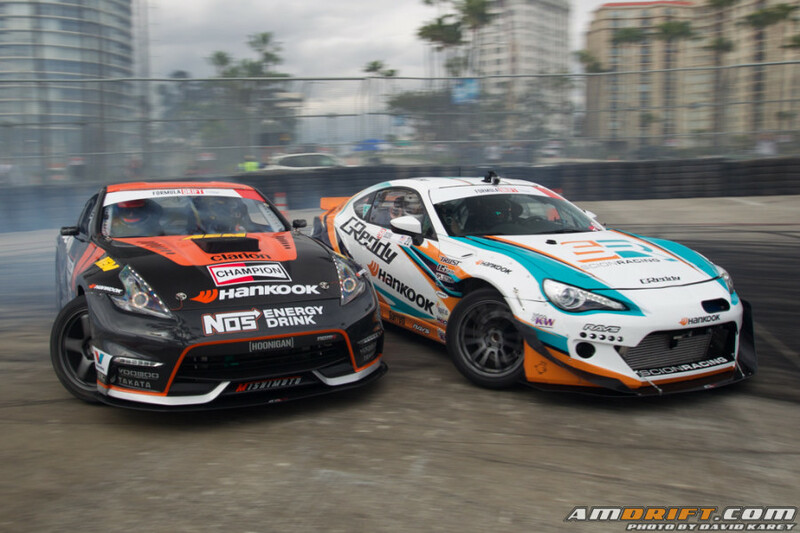 Entering it’s 12th season after an amazing finish to 2014, which saw Chris Forsberg take the title, Formula Drift kicked off the first round of the 2015 season on the Streets of Long Beach. Formula Drift is like summer camp. Everyone sees and keeps up with each other for 6 months out of the year, and then its all over and everyone has to go back to their “normal” lives for the remaining time. Hugs and high fives all around as everyone is reunited and gets to catch up with their friends. With that said, Formula Drift is the best summer camp around. The 2015 Top Drift season is officially underway! 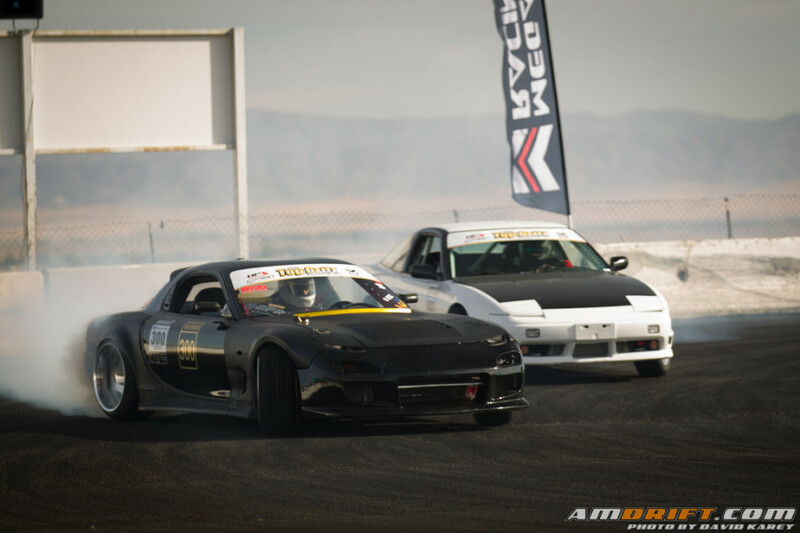 Just Drift wrapped up Round 1 of their Formula Drift licensing series this past weekend at Willow Springs International Raceway. 63 drivers registered for the controlled mayhem, accompanied by friends, family, and a whole lot of spectators. The tiny Balcony circuit just above the “Omega” of Big Willow, was absolutely jam packed, common for the first competition event of the Just Drift season. With every passing year, the event keeps growing and growing.